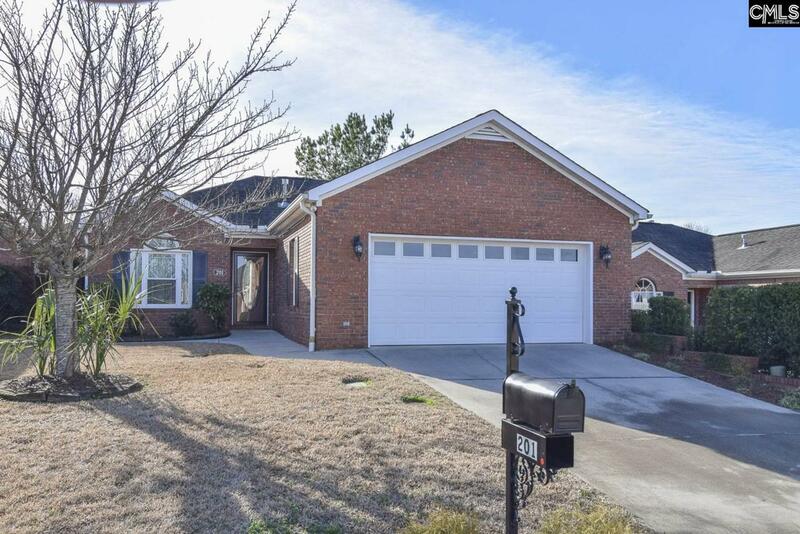 Living is easy in this elegant & spacious brick patio home. Located close to incredible hospitals, shopping, dining, and interstates. Well maintained community near Harbison Blvd. Features the best of indoor & outdoor living. Updated kitchen & baths, en suite master, gas fireplace, formal dining (or office). Enclosed sun room with central heat & air. There is even an indoor atrium with water for indoor plants. The majority of the back & side yard is hardscaped & has pergola. The yard has beautiful perennials, trees, and shrubs in your own little paradise. Garage with built-ins. Shed conveys.